In Scotland, and throughout Scottish cultures around the world, a night in late January is set aside to celebrate the life and works of famous poet Robert Burns. Born on 25th January 1759, Burns is one of Scotland's best known poets. A night of celebration is held in his honour on the day of his birth every year. The first gathering actually took place back in 1801, five years after Robert Burns’ death at the age of 37. It was a group of the young poet’s friends who got together to celebrate his life. 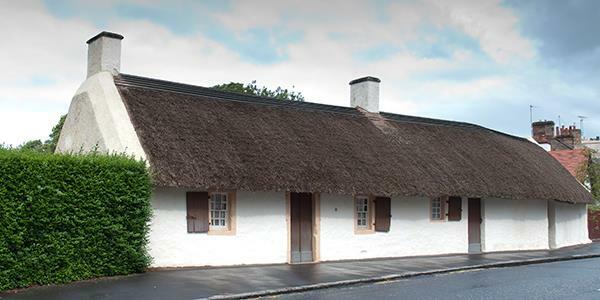 They ate, drank, sang and had a good night in his memory at Burns Cottage in Ayrshire, which is now a little museum dedicated to him. Robert Burns was responsible for a number of works that are still very famous and very much loved today. Often on Burns Night his works will be recited, and a particular favourite is Auld Lang Syne – which has become known as the New Year’s Eve song. Over two centuries after that first gathering of friends, and the event has grown and grown into the large-scale celebration that it is today. Traditional Scottish conventions have stuck: Haggis is eaten as part of Burns Supper, toasts are made, whisky is drunk and songs are sung as a way of honouring the poet, his words and his ideas. Why is Robert Burns such a large part of Scottish culture? Born in 1759, Burns started writing poems and songs while he was still a teenager. He died in 1796 but in that time the works that he produced became hugely influential. He’s considered a pioneer of the Romantic movement that followed among poets of the 19th century and, after his death, patriotic works became powerful inspiration for founders of Scottish liberalism. Having become almost a national icon of Scotland, the annual celebration of his life has, in turn, become an unofficial national day. The Robert Burns house in Dumfries is not too far from Coo Palace and was where the poet spent the last years of his life. It is free to enter and wander around. You’ll be able to see some of Burns’ original manuscripts, as well as personal items and furniture. Find out how to visit Scotland and experience its traditions for yourself. The stunning Coo Palace is located in Galloway. Tigh Mor Trossachs is just a short distance from where the header picture of a Burns memorial was taken at Stirling Castle. Find out more about Tigh Mor Trossachs here. Or Enter your details at the bottom of the page for a free brochure.